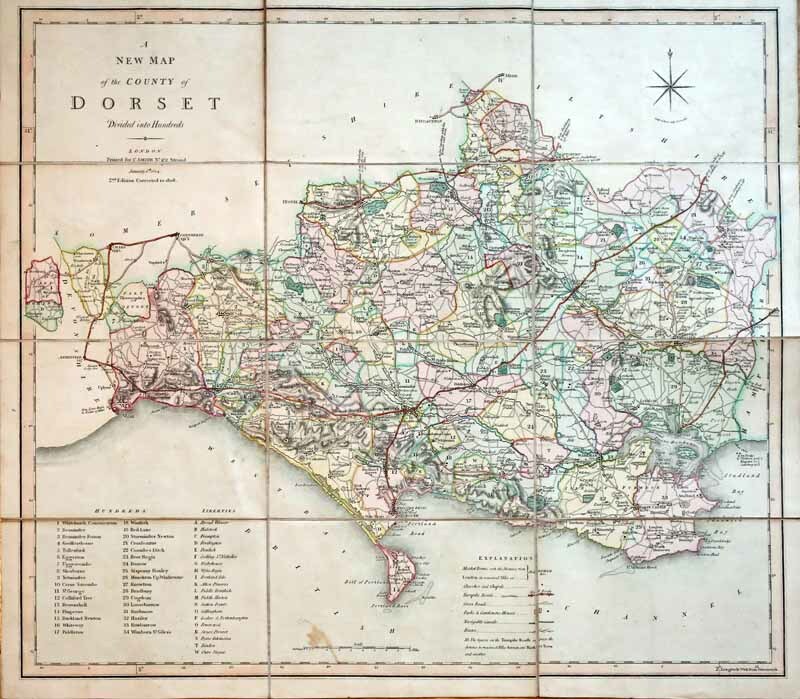 A New Map of the County of Dorset Divided into Hundreds (and Liberties). Charles Smith, first published January 6th 1804, this the 2nd Edition “Corrected to 1808”. Hand-coloured 53 x 46 cms (21 x 18 ins) on 12 linen panels. Shows distances to London from Market Towns (the figure below towns in capitals) and distances between Market Towns on turnpikes.